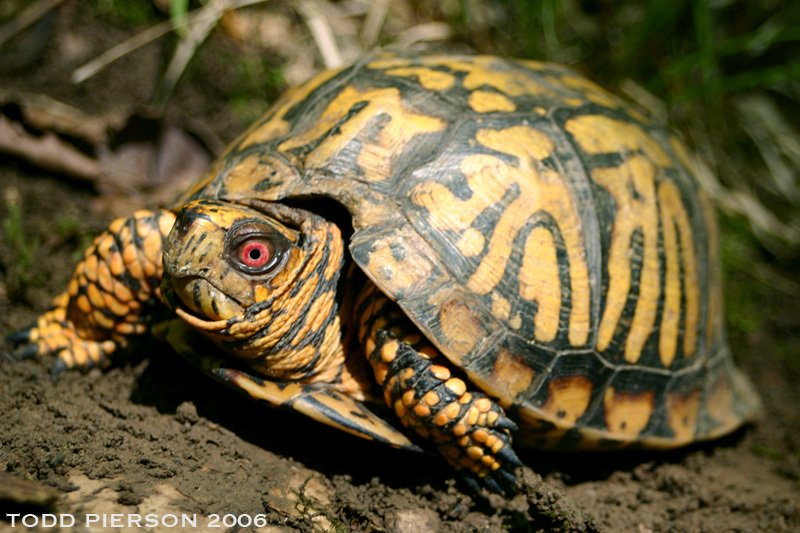 Eastern box turtle; photo by Lee D. Baker on Flickr (noncommercial use permitted with attribution). 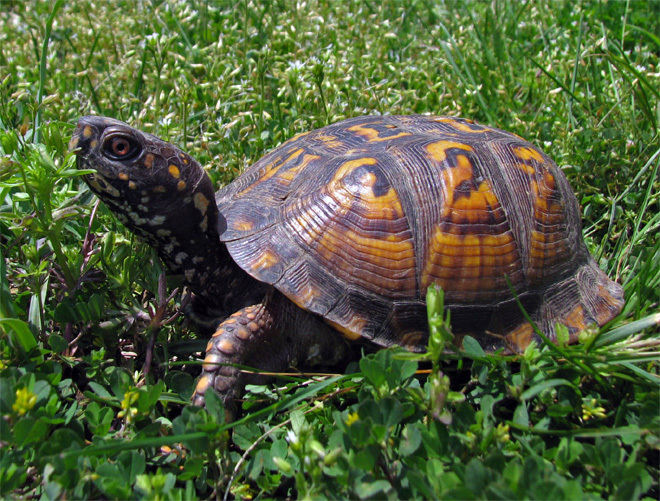 Found along the entire east coast of the United States (and inland as far as Michigan, Kansas, and Texas), the eastern box turtle is listed as "near threatened" by the International Union for Conservation of Nature and Natural Resources (IUCN) and should be protected to avoid further population decline. It's name was inspired by the box turtle's ability to retract its head and legs into its shell and clamp it shut, creating a protective "box." Eastern box turtles are omnivorous, with a varied diet of plants, roots, fish, snails, berries, fungi, and even small birds and snakes. Eastern box turtles can live to be over 100 years old and do not venture far from their place of birth (30 - 60 years is the average lifespan in the wild). Terrapene carolina carolina: Easter Box Turtle; photo by Todd Pierson on Flickr (noncommercial use permitted with attribution / share alike). 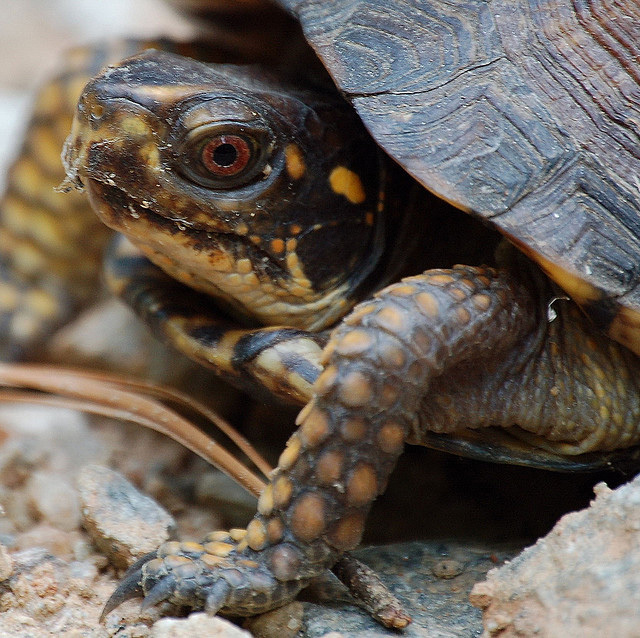 Eastern box turtle; photo by Lisa Brown on Flickr (noncommercial use permitted with attribution).